Borussia Dortmund Mario Götze is back in the Germany squad after nearly a year-long absence. Borussia Dortmund's Mario Götze has been recalled to the Germany squad with RB Leipzig’s Marcel Halstenberg a surprise inclusion ahead of this month’s friendlies with England and France. 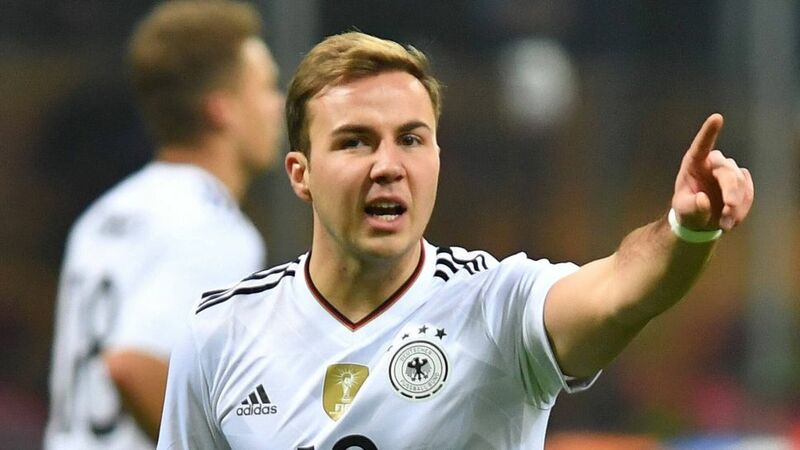 Dortmund star Götze’s metabolism problems mean he has not played for his country since the goalless draw with Italy in Milan on 15 November, 2016. Halstenberg has been one of Leipzig’s most consistent performers since the club arrived in the top flight in 2016, missing just six of the 44 top-flight matches Ralph Hasenhüttl’s side have had to date. The 26-year-old full-back, who fills the gap in the squad left by the injured Jonas Hector, could get a chance to make his senior international debut in the games which national team boss Joachim Löw believes will stretch his side. Manchester City's former Dortmund midfielder Ilkay Gündogan, who - like Götze - has not played for the world champions since that match in Italy, also returns to the squad after a serious knee ligament injury.